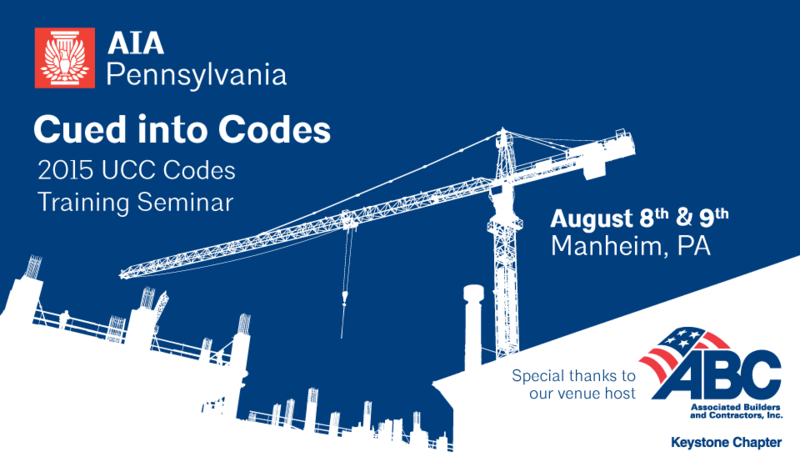 Join AIA Pennsylvania and ABC Keystone for a two-day seminar breaking down the updates you need to know to get up to speed on Pennsylvania’s newly adopted codes. Registration fee includes breakfast, lunch, printed handouts and certificate of training completion for your records. If you are traveling and will be in need of a hotel, there is a room block reserved for seminar attendees at the Hampton Inn & Suites (Mount Joy/Lancaster West 717.653.5515) located at 2301 Strickler Road, Manheim, PA 17545 – 1.52 miles/2 minutes from ABC Keystone. Copy and paste https://secure3.hilton.com/en_US/hp/reservation/book.htm?ctyhocn=LNSMJHX&corporateCode=0001366562&from=lnrlink into your browser to book your hotel reservation at Associated Builders & Contractors special rate.